We believe early education and care is important – that’s pretty obvious. But, even with all the time we’ve spent around early education and care, we are still amazed at the power of a child’s mind. It is what makes early education so important. 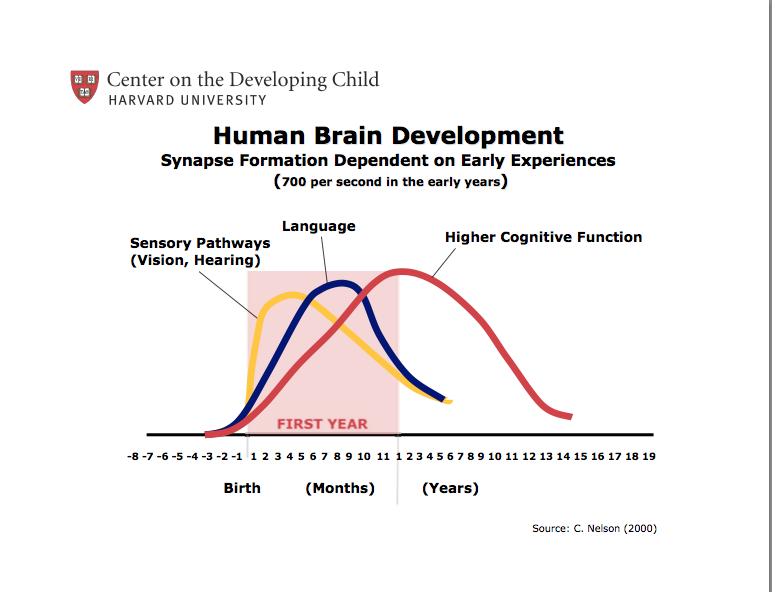 The Harvard Center on the Developing Child has a great graph that reminded me how truly amazing these little minds are if we nurture them right. How are you fueling your child’s development?